Cork Cage Robot (P/N 91-083). This fanciful robot is ready to serve your command! Open hinged doors to deposit or remove your cherished cork collection. 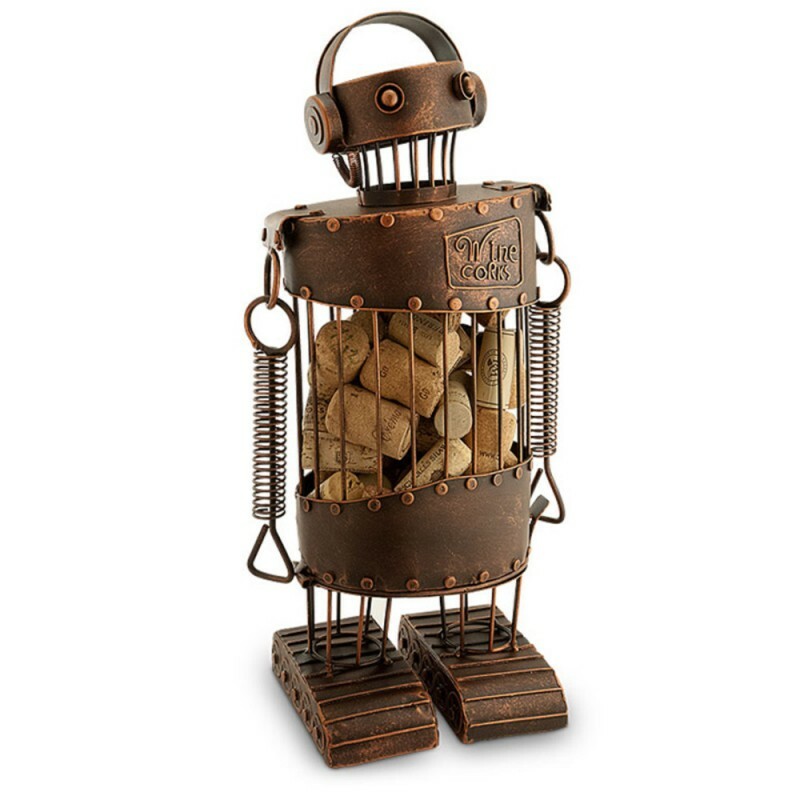 Artisan crafted from distressed finish metal, this adorable steampunk friend is the perfect depository to safely store corks from memorable moments, or pass on to friends and family as a special gift. Dimensions: 8.5"W x 6.25"D x 13.5"H.
Blast off to a distant planet with a classic science fiction inspired robot cork cage.